Your child, grandchild ,niece etc from Pre-K through college need united prayer from praying parents, church members and the community for the issues they face at school and on college campuses. United praying parents along with others can transform our schools and deliver them from violence, disorganization, and poor administration. Through united consistent prayer, God will give us the power, wisdom, knowledge, and creativity to solve the many school problems that plague our city schools and school board. Through prayer the right leaders will arise to enable the community to come together to take productive and strategic action to transform our educational system and our schools. Accordingly,we want to encourage our parents and pray for their strength to meet the needs of their child, grandchildren etc. to prepare them for school and to help with homework. Let us pray and put as I always say “put hands and feet” on those prayers and take strategic action to make a difference in our school systems. May our Loving Father bless you as you bring each concern for your child and school to Him in prayer. May you delight in His presence as you draw closer to Him, trusting in His goodness toward you and your family. 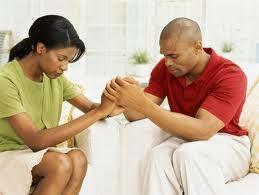 God will surely hear and be pleased at the unity in His Body and for united praying parents. Through prayer, families, our children’s lives, and our world can be changed. 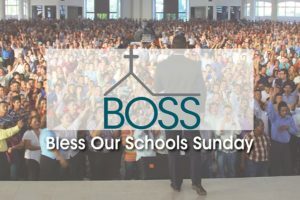 On September 16, 2018, Moms in Prayer International is sponsoring Bless Our Schools Sunday, a time for churches around the world to pray for the students, teachers and school staff in their own congregations. Imagine the impact this time of prayer will have on that worn-out teacher, the weary principal, the struggling students, as well as every school in your community. 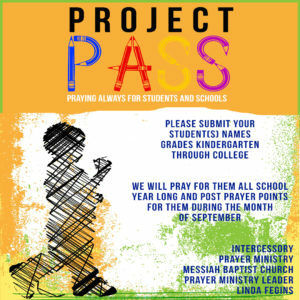 Praying Parents join with PROJECT PASS-Praying Always for Students and Schools lead by the Intercessory Prayer Ministry of Messiah Baptist Church in Detroit, MI . We want you to provide the name of your child, grandchild, niece, nephew etc and their school/ college (Pre-K through college) We will be praying for them all school year long Last week we sent you Prayer Points for Students (Day 1 through 9) read prior blog post. Welcome to Days Nine(9) through Day 15(15) of PROJECT PASS: Praying Always for Students and Schools ~ September 1-30, 2018. Join us in praying all year long for our students and schools Pre K-through college. Special College campaign coming. Add your child’s name and school so that we may pray all school year. .
Pray that your child will be confident in his/her abilities as a student. Pray, Father I ask that you give my child(ren) knowledge and skill in all learning and wisdom that _________(name child(ren) may be excellent in all his/her school work and activities and in her/his college courses and class papers and projects. ( Daniel 1:17, 5:14). This entry was posted on September 9, 2018, 8:22 PM and is filed under Back 2 School Prayers, PROJECT PASS Praying for Students and Schools. You can follow any responses to this entry through RSS 2.0. You can leave a response, or trackback from your own site.